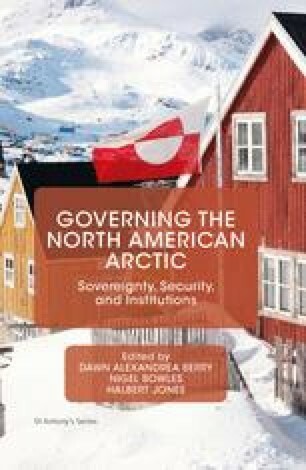 A century ago, the ‘Arctic Council’ described the extraordinary group of British military and political leaders who created the sudden burst of North American Arctic exploration after the Napoleonic Wars. They survive unforgettably in Stephen Pearce’s remarkable painting that captures an imaginary meeting of Sir John Barrow and others planning to rescue Sir John Franklin. The painting was presented to Queen Victoria and Prince Albert in 1851 at the height of the frantic search for Franklin whose earnest mien surveys the Victorian gentlemen planning his rescue. Now a prized holding of the National Portrait Gallery, the painting emphasizes the role of individuals in the quest for the Northwest Passage that changed forever the maps and the idea of the North America. Franklin, of course, died, but part of his legacy was Canadian sovereignty over most of the North American Arctic.